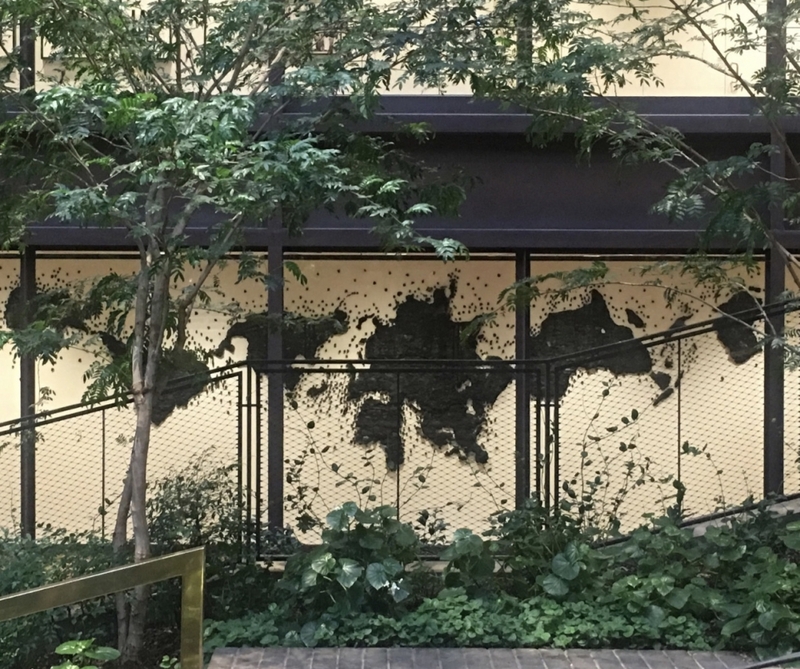 Island Universe is a site-specific commission installed inside the newly renovated Ford Foundation. Made entirely of thousands of intricate, hand-made charcoal forms, the piece spans a 30 ft. wall and suggests the earth’s geological past, when distinct land masses formed one continuous supercontinent. Island Universe challenges the north-up=superior/south-down=inferior presentation typically found in most world maps and asks viewers to question their conditioned cultural biases by rendering dominant reference points and cardinal directions meaningless. By disorienting our coordinates, the piece prompts us to imagine and construct a new sense of the world around us.